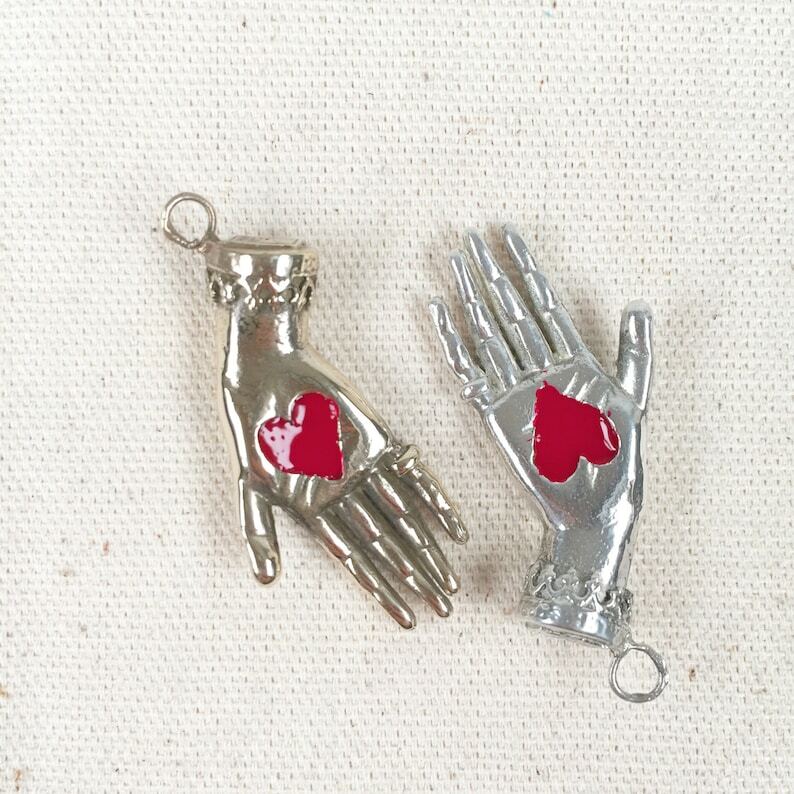 A delicate Victorian hand with an enamel heart in the palm, cast in solid bronze. This is the polite companion to our Bird pendant. where The Bird registers your annoyance at the current state of affairs the Heart in Hand is a symbol of peace and of reaching across the divide. We're all part of the same human family at the end of the day. Inspired by a particularly acrimonious interaction on Instagram that went south for a while but ended well! Also available in sterling silver. Gold is available by special order. 1 7/8" long including the ring at the top, by 11/16" wide. Worldwide shipping is available...contact me for details.